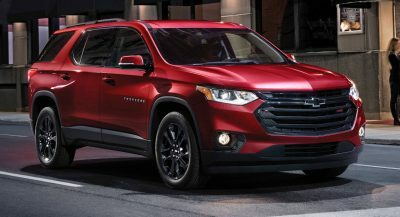 There’s a high-speed grudge match going down between several manufacturers to see who can make the fastest street-legal production automobile. 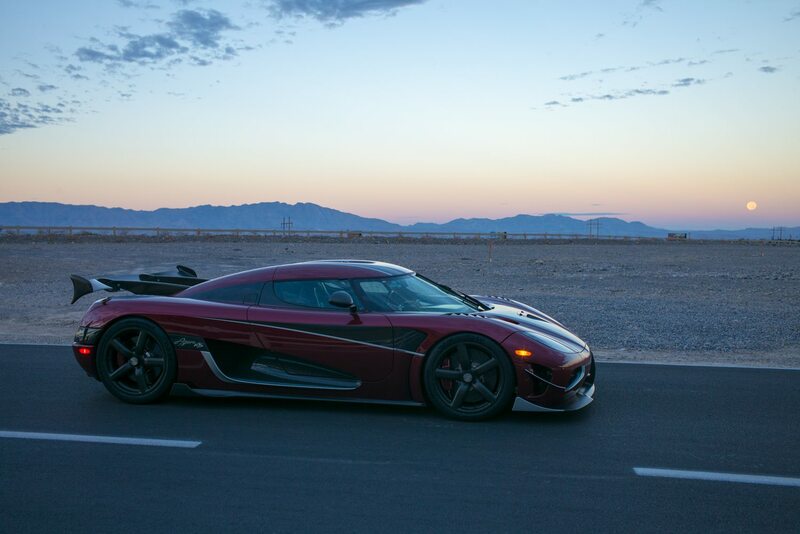 And the latest blow has been struck by Koenigsegg. Though details are still to be confirmed, the Swedish supercar manufacturer revealed late yesterday that it managed to clock 277.9 miles per hour in an Agera RS. 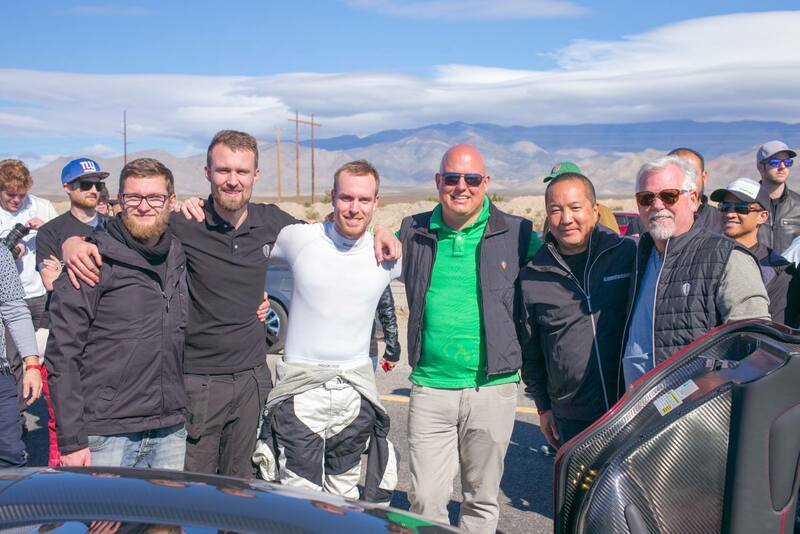 The feat was accomplished in the desert around Pahrump, Nevada, driven by factory test driver Niklas Lilja. The speed was taken as an average, as per generally acknowledged standards, of runs in both directions in order to account for wind speed, and was recorded not on the car’s own instruments, but by a separate Racelogic module. 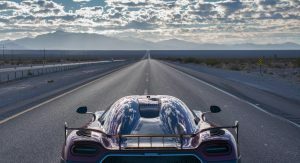 If confirmed as official, the achievement will shatter the previous record that has stood since 2010 when the Bugatti Veyron Super Sport clocked 267.8 mph, verified by the Guinness Book of World Records. 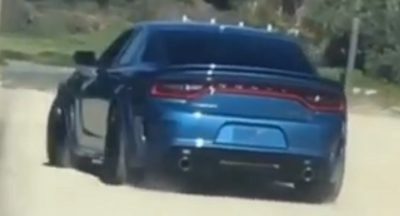 The new Chiron is said to be capable of 288 mph, but has to date “only” reached 261 mph. 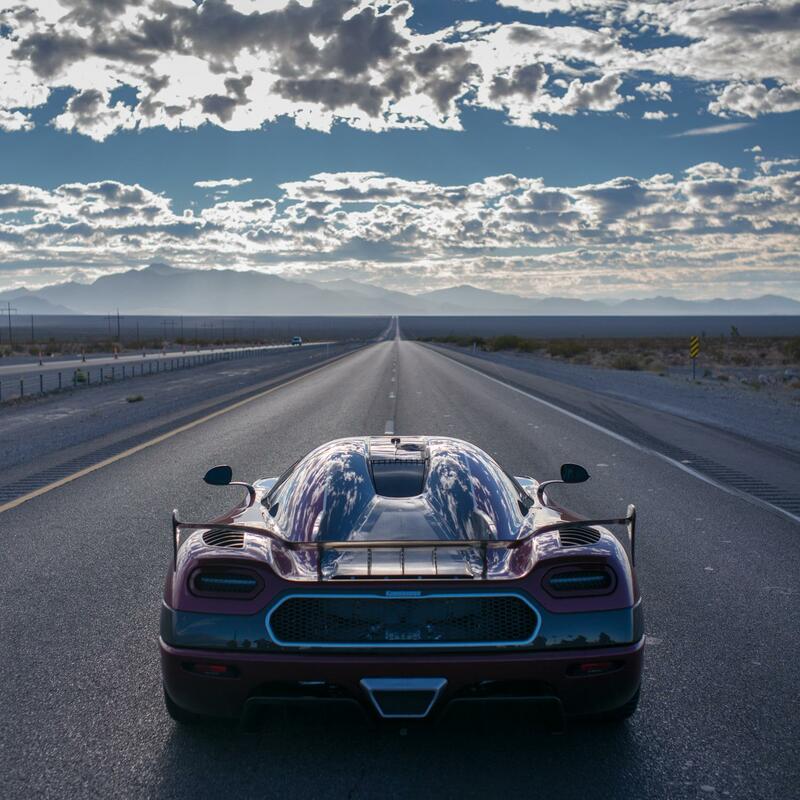 That was when Juan Pablo Montoya set the record for a 0-400-0 km/h run in the Chiron, rocketing from a standstill to 248.5 mph and back to a stop in under 42 seconds and a distance of less than 8,600 feet. 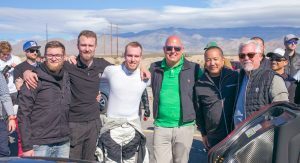 Koenigsegg soon responded by doing the same with its Agera RS in 36.4 seconds and 8,009 feet, stealing the crown from its rivals in Alsace. Hennessey has its own skin in the game as well. Its Venom GT reached 270.4 mph on the runway at the Kennedy Space Center in 2014, but that was only in one direction. The Texas tuner-turned-supercar-manufacturer claims its new Venom F5 can top 300 mph, but has yet to verify the claim. Luckily for all these makers, there’s a market for both: those looking for an authentic racing experience in a carbon-fibre tub and those who would rather do it surrounded by leather and lavished inserts. Not official, it doesn’t mean anything. Who said it is not official??? No body said it is official and they haven’t done something officiale before! All that matters is it was done with a standard production vehicle, I don’t need anything else. Do we know that and th rest? Have you not watched the respective videos? Who’s standing to lose out if it’s not true? 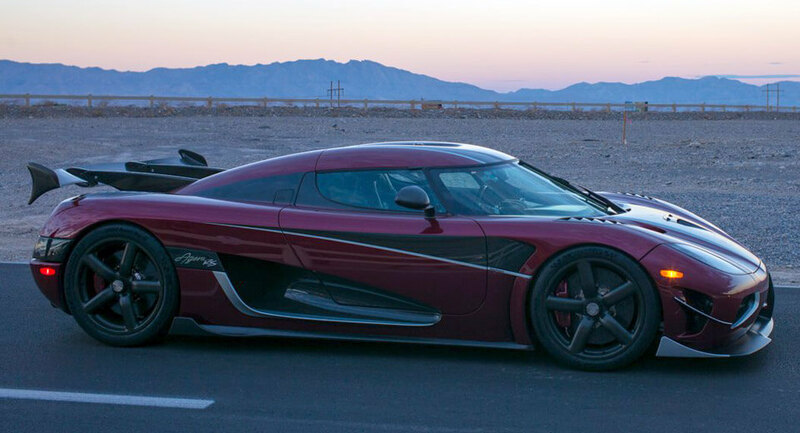 Koenigsegg ofcourse… Like I said I don’t think most people here care whether this is official or not…what matters is it’s been done and Koenigsegg said so…and they’ve never failed to deliver. That is the problem they said it we don’t know! Cgi doesn’t mean anything yet but neither does this if it is not official! A. Bugatti just got beat by the Big K.
B. Henessey still BEAT the Bugatti with a car costing less than half the price and a small engineering team. C. Wacth Bugatti try hard to come with a faster car, just like they did when they go beat before. Proves their egos are hurt when they do this and it DOES matter. v-box are they independent or just a partner, it is not official. I don’t care about Bugatti. 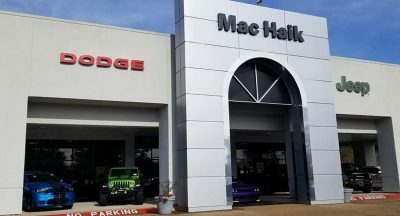 It is very easy to change standard spec from standard auto. wholly shiz that is fast. Suddenly everybody wants to beat the Chiron.. this is going to be crazy. They also broke the 0-400-0 km/h record again, at just 33.87-seconds, that’s 2.57-seconds faster than previous record 36.44-seconds. This car looks as though it’s flying down the road even when it’s standing still.. Pretty impressive super car. Wow, Bugatti gets beat twice in one day. Damn! Until I see video confirmation, I’m going to remain skeptical. Watch the Youtube videos…Nothing to prove anymore as they PROVE it was done. That comment was before I was aware of the video. This is only the RS too.Can’t imagine what the ligher one:1 and higher power Regera can do.Koenigsegg always shitting on all these cars with RWD and a TT V8 lol.Hennessey is pure American copy & paste tuned plastic trash.Bugatti is the only competitor here.Their cars are class. 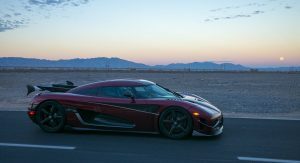 One:1 is only 35kg lighter & has more frontal area than Agera RS, I don’t think it’s the most ideal car for top speed attempt; and Regera has lower top speed due to direct drive, theoretical top speed is around 253-mph or 404-km/h. 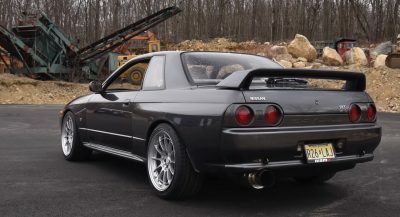 What, is your Bugatti-loving ego hurt now that the Big K humilated with these impressive top speeds AND 0-400-0 times??? 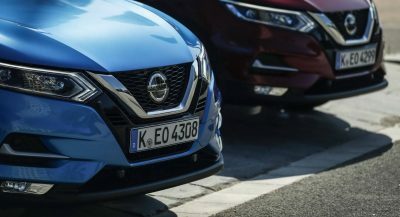 With the massive engineering that makes Bugatti, not to mention extreme amounts of R&D dollars and bravado, they just got humilated by a little Swedish car maker with a dream. Can the French do anything right? Previous PostPrevious Is The Bentley Bentayga Really A More Extravagant Audi Q7? Next PostNext Can Manor Take Porsche’s Place In WEC LMP1?